For a drone to fly perfectly, the IMU, gyro stabilization and flight controller technology is essential. Drones today use three and six axis gyro stabilization technology to provide navigational information to the flight controller, which make drones easier and safer to fly. Gyro stabilization technology is one of the most important components, allowing the drone to fly super smooth even in strong winds and gusts. This smooth flight capabilities allow us to film fantastic aerial views of our beautiful planet. With exceptional flight stabilization, along with waypoint navigation, allow drones to produce top quality 3D photogrammetry maps and lidar imagery. The latest drones use integrated gimbals, which also include inbuilt gyro stabilization technology giving the on-board camera or sensor a practically vibration free movement. This allows us to capture perfect aerial film and photos. In this article, we look at what is gyro stabilization, the function of gyroscopes in drones, including differences between three and six-axis gyro stabilization. We list the latest top drones with the best gyro stabilized autonomous flight modes and systems. There is also a number of very informative videos throughout this article. The main function of gyroscope technology is to improve the drones flight capabilities. The drone’s hardware, software and algorithms work together to improve all aspects of the flight including hovering perfectly still or taking steep angled turns. A drone with six axis gimbal feeds information to the IMU and flight controller to vastly improve the flight capabilities. The gyroscope needs to work almost instantly to the forces moving against the drone (gravity, wind etc) to keep it stabilized. The gyroscope provides essential navigational information to the central flight control systems. In the vast majority of drones, the gyroscope is encompassed or integrated within the IMU (Inertial Measurement Unit). The drone IMU, along with satellite positioning (GPS and GLONASS) are also components of the flight controller system. The flight controller is made up of many components and provides many functions. It is the central brain of the drone. So, we can now see that the gyroscope is a component of the IMU and the IMU is an essential component of a drones flight control system. Flight controllers are not just hardware. It includes and is controlled by sophisticated software programs and mathematical algorithms. All components within the flight controller must work seamlessly together for the drone to navigate and fly with the utmost of stability. The first gyroscope was invented by John Serson in 1743 with various gyro machines coming in the following years. Some of the first mechanical gyros used two heavy brass discs spinning at high speed to detect changes in yaw. The earlier heavy and power consuming technology has since been replaced with modern non-mechanical alternatives that can do much more beyond yaw correction. 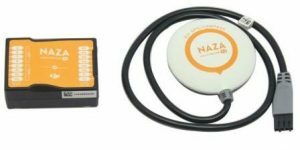 The small size and low power consumption of modern gyroscopes have made the technology indispensable to the aircraft, mobile devices and of course drone industry. This first 5 minute video explains precisely what a gyroscope is. To understand the role of gyro stabilization, it’s important to realize that every drone is constantly being subjected to a number of forces coming from different directions. These forces, such as wind, affect the drone’s yaw, pitch, and roll making the drone very hard to control. Integrated gyroscopes can almost instantly detect changes in the position of a drone and compensate for it in such a way, that it basically seems unaffected, as it re-adjusts its position hundreds of time every second or can hover calmly in place. Modern gyroscopes are manufactured with components between 1 to 100 micrometers in size and often include sensors for multiple axes in a single package. Three-axis gyroscopes measure rotation rate around, you’ve guessed it, 3 axes: roll, pitch and yaw. Gyros keep giving non-zero readings as long as the rotation continues. However, when the rotation stops, the gyro goes silent, because, as far as it is concerned, everything is as it should be. So, what are the 3 additional axes measured by a six-axis gyroscope? None. There are only 3 possible axes that a gyro can measure. Instead, the term “six-axis gyro” actually refers to an integrated system which consists of a 3D gyroscope (3 axis) and 3D accelerometer. Very rarely, the accelerometer can be replaced with a 3D compass. The function of the 3D accelerometer is to measure the orientation of a drone relative to earth’s surface. It works by sensing the acceleration of gravity using the same technology, which is also behind gyroscopes, MEMS (Micro Electro-Mechanical Systems). These tiny electro-mechanical structures can interface to electronics, allowing engineers to build some pretty amazing stuff on an extremely small space. Now, here is a great video which shows you exactly how an accelerometer works. This uses a mobile phone but the principle is the same for drones. The combination of 3D gyro and 3D accelerometer allows a six-axis gyro to measure the amount of static acceleration due to gravity and also the amount of dynamic acceleration. These two measurements help us determine the angle the device is tilted and figure out the way the device is moving. As a result, drones with this type of gyro are much more stable and forgiving, which is great especially for beginners who are just learning how to fly. They also respond quicker to any unexpected forces affecting the movement of the drone such as gusts of wind, thus potentially preventing the drone from crashing. A regular three-axis gyro doesn’t help much during sharp banked turns, compared to a six-axis gyro, which makes such advanced maneuvers effortless. All in all, six-axis gyro stabilization is very useful for just about anyone from complete beginners to seasoned pros who want to push their drone to the maximum limit. Using a drone for advanced applications such 3D imagery, 6-axis gyroscope stabilization is essential. 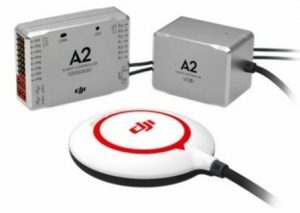 Below is an excellent video which shows you how a drone uses the 3 axis accelerometer, gyroscope, ToF distance sensor (Teraranger One) and a camera to stabilize itself after been thrown in the air. The accelerometer detects that it has been thrown in the air and is falling back to the ground. The gyroscope will then stabilize its orientation within a split second. Next, the distance sensor stabilizes the drone to a particular pre-programmed height from the ground. Then the drone locks to its current position. This is a terrific and well explained video. Now, you can have the very best 6 axis gyroscope technology, but if your drone’s hardware (propellers, motors, bearings, shafts etc) are not straight, clean or functioning correctly, then the drone will still fly erratically and possibly even crash. It is always a great idea to examine the drone’s parts before and after every flight. Having spare parts just in case something is cracked or bent is a great idea. Keeping the drone clean is another good practice. To check if the propellers are straight, then it is great to have a propeller balancer. If all the components look fine and the drone is flying erratically, bring it back in straight away. If the drone is flying erratically, then re-calibrate the IMU on a flat surface. Sometimes the IMU needs to be re-calibrated more than once. The drone manufacturers website should also be checked for a firmware update to fix any issues within the flight controller. If further problem exists then the drone would more than likely have a hardware fault in the IMU or flight controller. Here are some of the latest drones with the best integrated GPS, gyro stabilization, IMU technology and autonomous flight systems. These also have stabilized gimbals and 4k video cameras. These drones have many safety features such as home lock and return to home. These are all fantastic drones. 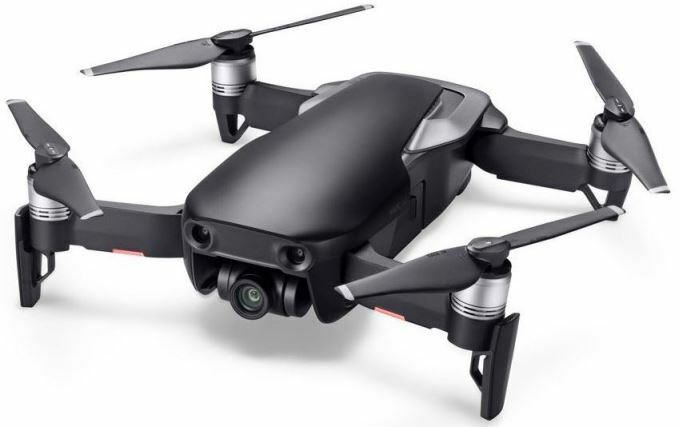 DJI Mavic 2 Pro And Mavic 2 Zoom – The 2 new quadcopters released in August 2018 have the latest in navigation, flight control, stabilization along with top cameras. They are massive improvements to the earlier Mavic Pro from last year. The Mavic 2 Pro and Mavic 2 Zoom are equipped with Forward, Backward, Downward and Lateral Vision Systems including Upward and Downward Infrared Sensing Systems. The main components of the Forward, Backward and Downward Vision Systems are six camera sensors located on the nose, rear end and underside of the Mavic 2 quadcopter. The lateral Vision System are 2 cameras with one camera on each side of the Mavic 2 quadcopter. The main components of the Upward and Downward Infrared Sensing Systems are 2 x 3D infrared modules located on the top and underside of the Mavic 2 quadcopter. The Flight Controllers, IMU along with the Vision System and Infrared Sensing System help the Mavic 2 fly super smooth and accurately. When hovering these systems help the Mavic 2 maintain its current position and hover in place very precisely. The Vision and Infrared Sensing system also allow the Mavic 2 to fly indoors or in other areas where a GPS signal is unavailable. DJI Mavic Air – This mini drone released in January 2018, uses the very latest in Gyro IMU technology. The Mavic Air launches from the ground or from your hand, so it uses the technology from the video above, but is so much more advanced and stable. In areas where there is long grass or in snow, the option to take off from your hand is great. When launching from your hand, the Mavic Air will rise smoothly and is hovering perfectly stable within a split second. You can also fly the Mavic Air using hand gestures or using your cellphone. The Mavic Air also has facial recognition. It uses vision sensors and algorithms to detect and focus on the persons or object in front. The Mavic Air also uses vision sensors and very sophisticated visual cue machine learning algorithms for obstacle detection and collision avoidance. The Mavic Air can fly around obstacles and if the obstacle is too big, then it will hover in front of the obstacle. It is incredible advanced technology and here is a terrific article regarding obstacle detection and collision avoidance in drones for further knowledge. Now, the Mavic Air has many intelligent flight modes such as Rocket, Dronie, Circle, Helix and Asteroid. These intelligent flight modes make flying and filming so very easy. If you would like to know more on this top drone, then read our full DJI Mavic Air review. It includes all the features, specification, frequently asked question including some great videos. There are many great offers available and you can view these in our DJI Mavic Air bundles page. DJI Mavic Pro – This fold up drone flies and hovers perfectly still. The technology is called “FlightAutonomy” and is made up of 7 components including 5 cameras (forward and downward dual vision sensors and the main camera), dual-band satellite positioning (GPS and GLONASS), 2 ultrasonic rangefinders, redundant sensors, and a group of 24 powerful, specialized computing cores. Cameras on the left and right side in the front of the Mavic are fixed in place using an aluminum bracket to ensure the optimum alignment of the vision sensor lenses. As the Mavic flies, dual forward and downward vision sensors measure the distance between itself and obstacles by taking photos from all four cameras and using the information to create a 3D map that tells it exactly where obstacles are. The dual forward and downward vision sensors require visible light to function, and in bright light can see as far as 49ft (15m) out in front.This obstacle avoidance system is activated in every Intelligent Flight Mode including all ActiveTrack modes, TapFly and Terrain Follow. It is also available during automatic Return to Home, so that the Mavic can easily make its way back without bumping into anything in its path. DJI Phantom 4 Pro – Only released in November 2016, this quadcopter has many gyro stabilized autonomous flight modes including collision avoidance and vision sensing. The programmable gyroscope stabilized flight modes are Draw Waypoints, TapFly, ActiveTrack Follow Me, Terrain Follow, Gesture Mode, Sports mode and many more. 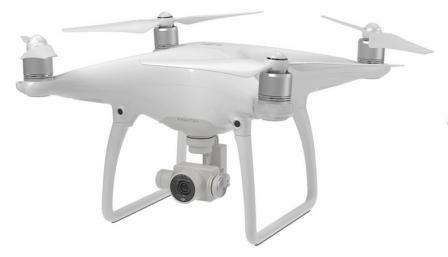 The Phantom 4 drone has in integrated stabilized gimbal and can capture stunning 4k video and take 12 megapixel stills. You can read further and watch some terrific videos showing you around the Phantom 4 Pro here. The article includes information and videos on its many intelligent flight modes and collision avoidance technology. Yuneec Typhoon H – The latest multirotor from Yuneec which was on show at CES 2016 has everything you could possibly look for in a drone. It has many gyro stabilized integrated autonomous flight modes such as Orbit, Points Of Interest, Journey, Curve Cable Cam, Follow Me / Watch me. It can shoot video in 4k and capture 12 megapixel stills with its integrated 3 axis stabilized gimbal. There are many areas outside of aerial photography and filming which benefit from drone six axis gyroscope stabilization technologies. Many people enjoy drones just for the pure pleasure of acrobatics and racing. Flying at steep angles and especially flipping a drone without crashing is difficult without six axis gyro stabilization. Drone racing is a growing sport and this relies on very fast flight control systems as the courses are full of obstacles. These racing drones are fast and the live video back to the pilot must be transmitted with exceptionally low latency. You can read further in this article on FPV live video. This next drone video is from a project where Pix4D, together with Canadian drone manufacturer Aeryon Labs Inc and PUC University of Rio De Janeiro created the first 3D map of the Christ The Redeemer statue in Rio. The changing weather and conditions, with gusts of wind up to 30 mph (50 km/h) made this project particularly difficult. This project would not have been possible flying a drone manually. With gusts of wind, the drone would easily drift off course by a few meters in a split second before the pilot could react. Pix4D are one of the market leaders for creating 3D maps and models using photogrammetry software. You can read reviews on other top 3D mapping software companies here. The drone’s flight control system with it’s 6 axis gyro stability along with GPS, waypoint navigation, made this project possible. Many other projects and sectors are benefiting from this technology first invented hundreds of years ago. In this final video, we learn how the MEMS accelerometer, gyroscope and magnetometer work and how to use them with the Arduino Board.